The very stability Syria once knew was extracted at a heavy price. Dissent was not tolerated, neither speech nor association was free, and the notorious prisons of the Syrian regime were full of those who would object. “Tomorrow There Will Be Apricots” is born out of the current terrible moment, when even greater blackness has enveloped Syria. This project tells this story through women using their bodies to perform their stories, actively occupying and speaking to their confinement. An emotive and investigative narration told in three distinct chapters of the Syrian civil war. Blending metaphorical narratives into a synthesis of performed original poetry, intimate recordings and film diaries, moving and still imagery. This project is, therefore many things: study, investigation, documentary, reenactment, archive, rumination, and even séance, for those desperate to resurrect the dead or confront the past and its ghosts. Tanya Habjouqa (1975, Amman, Jordan) is a Jordanian/Texan photographer and educator. Her long-term projects focus on gender, representations of otherness, dispossession and ever-shifting sociopolitical dynamics in the Middle Easrt. Her “Occupied Pleasures” was heralded by TIME magazine and Smithsonian as one of the best photo books of 2015 (winning her a World Press Photo award in 2014). 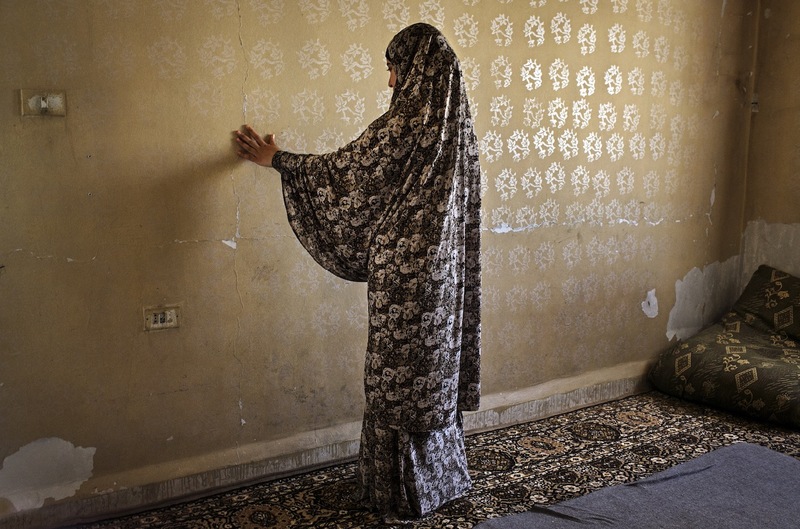 She is a member of NOOR agency and founding member of Rawiya, the first all female photo collective of the Middle East. She is currently based in East Jerusalem.